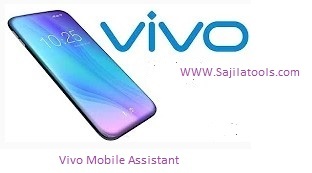 Vivo Phone assistant is also famous with the name of PC Suite software has been developed and released recently by Vivo officials and free download link is available for PC at the bottom of this page. There is basically no difference between Vivo mobile phone assistant and PC suite and therefore you should not be confused in the names of the same tool and feel free to download this magic tool from the official link shared below. As we know that Vivo mobile phone is becoming popular in mobile market due to its latest and unique features. Most of the android phone users prefer to buy this good looking smart phone and they love the style of the phone. This phone is quick responsive to net and works nicely with minimum software issues. If you are using Vivo android smart phone and you want to connect your device with your PC directly to transfer data without taking longer process and time, vivo mobile phone assistant is the best and well working apk to download and install it on your Windows PC. Once, you have downloaded and installed this unique software on your PC, then connect your phone with your PC via a USB data cable. Manage your phone contacts, massages, apps, games and many other tasks directly from your PC without any hurdle and confusion. This updated and latest tool, helps you upgrade your android smart phone firmware to its latest version directly from your PC. By using this brilliant tool, you can also import backup, add or delete contacts and customize your calendar very easily. This awesome tool also displays memory usage, number of contacts, number of images and massages. It also displays the applications installed on your android smart phone. It is suggested to overlook the awesome features of this tool before installing vivo mobile assistant on your PC. To take phone screen shots. Vivo mobile phone assistant software tool is absolutely free and nothing has to be paid for downloading of this tool. There are several web servers from where you can get the tool but no one can give any authenticity of those sites and web serves. We suggest you to follow our link and get the latest and updated version of Vivo PC Suite/Mobile Assistant Latest Version V 3.0.1.2.0 for your PC. After downloading and installation this tool, you can use all the unique features of this amazing tool completely free. If you wish to download vivo mobile phone software tool for your PC, then follow the link shared below and click on the download button and get the full setup. The link shared below is official, well working, trustable and it is free of dangerous viruses. In case of any trouble while downloading this awesome tool, like; the link is not working or showing errors, then please contact us via your comment s in comment section. Your feed back is highly appreciated and regarded and our technical teem will do its best to resolve the issue if any.